Another sheet pan chicken dinner to make our lives easier! 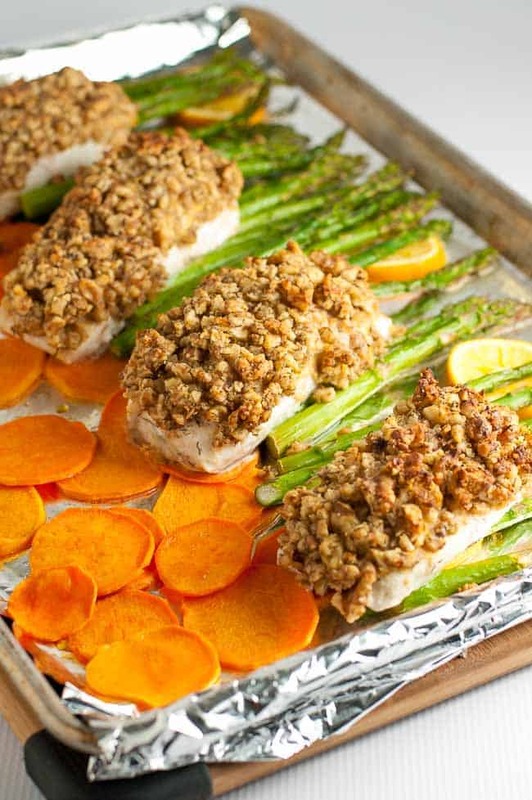 Sheet pan dinners seem to be one of the most sought-after recipes lately! And for good reason: they’re easy to prepare and quick to clean up. This Hoisin Orange Sheet Pan Chicken dinner is my latest creation and it’s a winner. 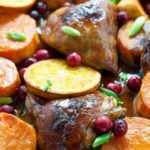 It features tender chicken marinated in an Asian-inspired sauce with nutrient-rich sweet potatoes, all roasted on one pan with fresh oranges and cranberries. Deeeelicious! Roasting vegetables draws out their natural sweetness making them extra tasty, but it also preserves their nutrients. 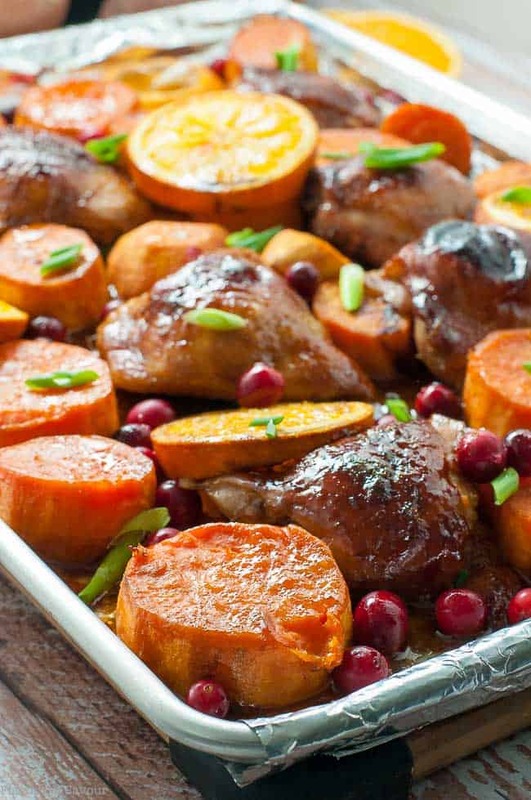 Oven roasting is our favourite way to prepare sweet potatoes, and adding fresh orange slices and cranberries makes this sheet pan chicken even more flavourful. Caramelized oranges and pop-in-your-mouth tart cranberries added extra interest to this already robustly flavoured dinner. I had planned to make my Hoisin Orange Glazed Chicken Thighs today, but I suddenly realized I could reduce my meal prep time by cooking everything together. That favourite recipe got a quick make-over and resulted in this Hoisin Orange Sheet Pan Chicken instead. 1. It’s easy to prepare. Marinate the chicken, chop some sweet potatoes, slice some oranges and arrange them on a sheet pan. Scatter some cranberries on the pan during the last five minutes of roasting. 2. It has that sweet and salty flavour balance we love. Fresh oranges add a natural sweetness that balances the salty hoisin sauce. The marinade makes tasty chicken with nicely browned, crispy skin. 3. It’s easy to clean up. 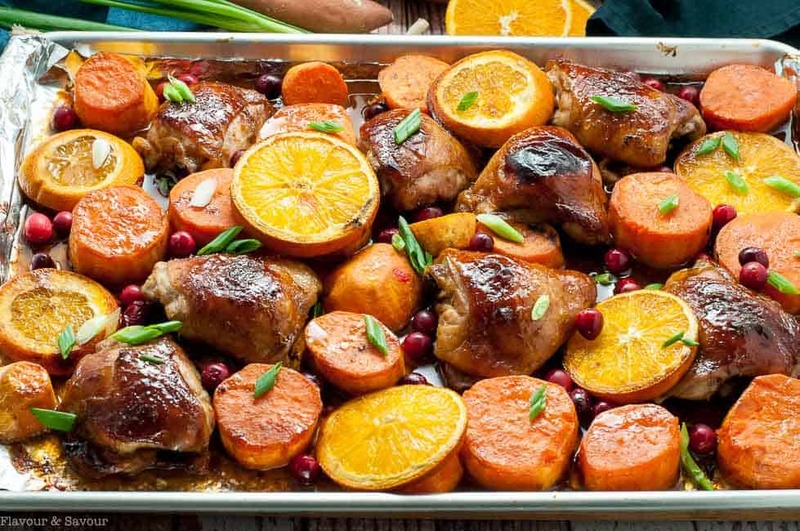 This Hoisin Orange Sheet Pan Chicken dinner with sweet potatoes makes juicy chicken with hints of orange, ginger and garlic. Add fresh tart cranberries for colour and flavour! Paleo. Whisk marinade ingredients together. Put chicken in a marinating bag or dish and add two-thirds of the marinade. Let it marinate for 45 minutes, or up to several hours. Heat oven to 400°F. Peel sweet potatoes and cut in thick (about 3/4 inch) pieces. Toss with 1 tbsp olive oil, sprinkle with salt. Slice two oranges. Cover a sheet pan with foil (if desired for easy clean-up). Heat the pan in the oven for 5 minutes. 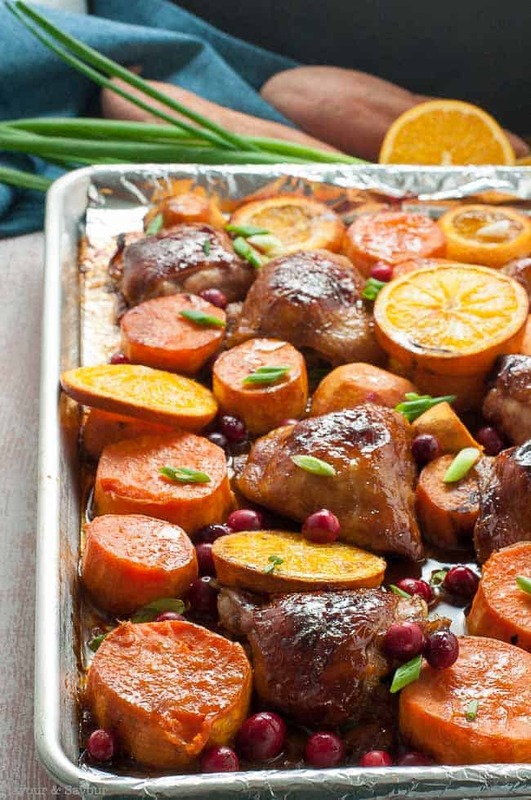 Remove and arrange sweet potatoes, chicken thighs, and sliced oranges on sheet pan. Brush chicken pieces with a little of the hoisin marinade. Transfer to oven. Roast for 40 minutes, basting with the reserved marinade every 10 to 15 minutes. 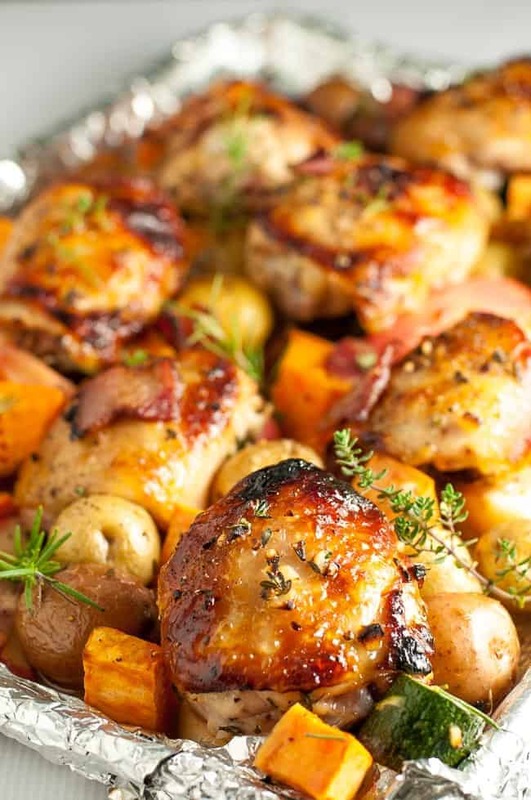 Remove from oven, brush chicken and potatoes with honey. Scatter fresh cranberries on the sheet pan. 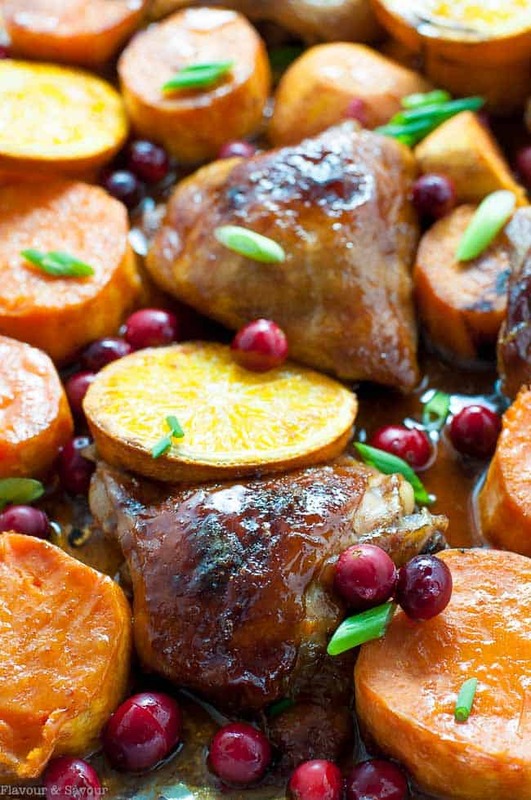 Return to oven for 5 minutes or until cranberries begin to pop, sweet potatoes are fork tender and chicken is cooked through. Serving suggestion: serve with green vegetables, such as steamed broccoli, sautéed boy choy or other greens. Roasting time will depend on the type of sheet pan you use. 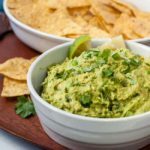 I used an aluminum half sheet for this recipe. Stoneware sheet pans often take less time. Have you made sheet pan dinners yet? Try these, too. If you like this recipe for Hoisin Orange Sheet Pan Chicken, please Pin it or share it! 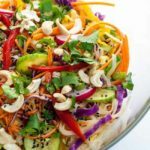 I’ve been looking for some sheet pan recipes to try out so I’m really excited about this one! So many of my favorite flavors on one sheet pan. I’m sure you’ll love this one! 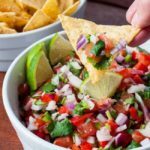 Tons of flavour! I love your sheet pan dinner recipes, so I tried this one last week. My kids loved it. 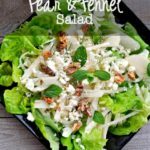 Will be adding it to our regular rotation, It’s quick to make after work and my kids loved the cranberries! I appreciate how easy sheet pan dinners are too. Glad to hear your kids loved those warm cranberries!